All over the United States we are witnessing unprecedented shortages of ammunition, physical gold and physical silver. Recent events have helped fuel a “buying frenzy” that threatens to spiral out of control. Gun shops all over the nation are reporting that they have never seen it this bad, and in many cases any ammo that they are able to get is being sold even before it hits the shelves. The ammo shortage has already become so severe that police departments all over America are saying that they are being told that it is going to take six months to a year to get their orders. Update April 27, 2013 On West/Waco Texas Fertilizer Plant Missile/Laser Strike: Government Motives To Destroy It With A Missile! Urgent Action Free Fax: Tell Your Senators That $6.3 Trillion Is Too High A Price To Pay For The Gang Of Eight’s Amnesty! In fact, many police departments have begun to trade and barter with one another to get the ammo that they need. Meanwhile, the takedown of paper gold and paper silver has unleashed an avalanche of “panic buying” of physical gold and physical silver all over the planet. In the United States, some dealers are charging premiums of more than 25 percent over the spot price for gold and silver and they are getting it. People are paying these prices even though they are being told that delivery will not happen for a month or two in many cases. Some dealers are feverishly taking as many orders as they can, and they are just hoping that they will be able to get the physical gold and silver to eventually fill those orders. Personally, I have never seen anything like this. If things are this tight now, what is going to happen when the next major financial crisis strikes and people really begin to panic? If you’d like to see a normally sullen sales clerk chortle with derisive pleasure, just walk into just about any gun range, sporting goods store or mass merchandiser and try and buy a couple boxes of .22 ammunition. Gun enthusiasts are up in arms about a nationwide shortage of ammunition. 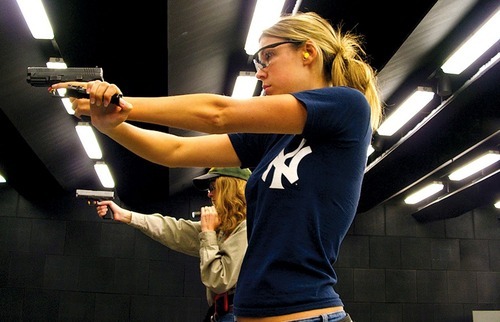 Handgun ammo in general is particularly difficult to find – and when you do find it, there are restrictions on the amount you can buy and how much you’re going to be paying for it. While the list of hard to find ammo is long, .22 long rifle and 9mm handgun ammunition are particularly difficult to find in quantity. And the few places that have it are charging a premium rate and usually limiting purchases to one box, per person, per day. There are websites where people across the country post links to where ammunition is available – and it sells out within seconds. Not minutes or hours – seconds. The demand is driving up the cost of ammunition. Six months ago, standard .22 ammo – the most common type of bullet produced in the world – could be had in bulk for around five cents apiece. It is now going for 50 cents or more on some websites – and people are paying it. Sheriff Anthony DeMeo of Nye County, Nev., was told his department’s regular order of 50,000 rounds could take up to a year to arrive. “This is the first time ever I’ve heard that there’s a problem with a law-enforcement agency getting ammo for their agency,” DeMeo told The Las Vegas Sun. These departments are not alone. Law enforcement agencies in Oklahoma, Wisconsin, Arizona, and Georgia are among many that are having to limit how much they give their officers due to the shortage. Could you imagine waiting for “up to a year” to get more ammunition? “Nobody can get us ammunition at this point,” says Sgt. Jason LaCross of the Bozeman, Montana police department. LaCross says that manufacturers are so far behind that they won’t even give him a quote for an order. “We have no estimated time on when it will even be available,” LaCross says. What in the world could be causing such an ammo crunch? Well, certainly the demand for guns and ammo has been trending up in recent years – especially since Barack Obama was elected. But that doesn’t fully account for the shortages that we are witnessing at the moment. 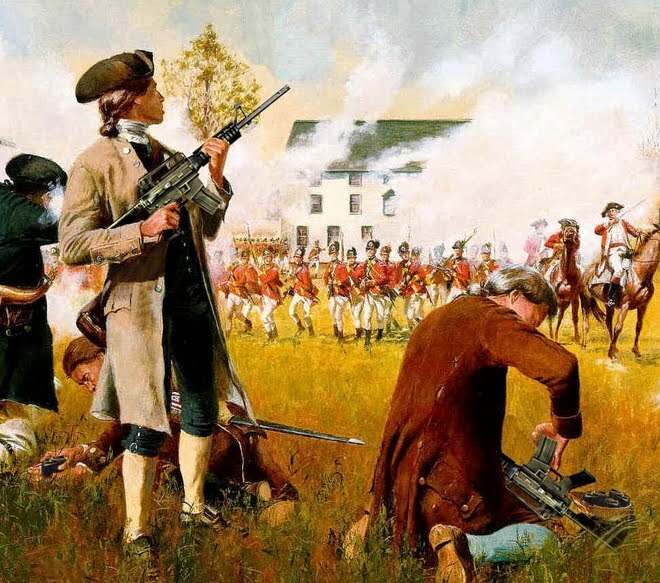 Americans To Begin Killing One Another Over Rothschild Soros Choreographed Looting Scheme? The Denver Post, on February 15th, ran an Associated Press article entitled Homeland Security aims to buy 1.6b rounds of ammo, so far to little notice. It confirmed that the Department of Homeland Security has issued an open purchase order for 1.6 billion rounds of ammunition. As reported elsewhere, some of this purchase order is for hollow-point rounds, forbidden by international law for use in war, along with a frightening amount specialized for snipers. Also reported elsewhere, at the height of the Iraq War the Army was expending less than 6 million rounds a month. Therefore 1.6 billion rounds would be enough to sustain a hot war for 20+ years. In America. Could this be a way that the Obama administration is trying to restrict the amount of ammo that gets into the hands of private citizens? That is what some people are suggesting. 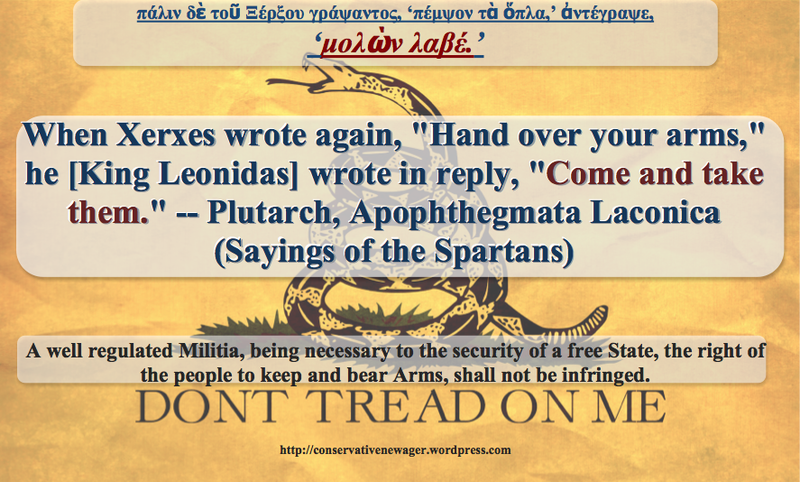 President Madison says this: “Besides the advantage of being armed, which the Americans possess over the people of almost every other nation, the existence of subordinate governments, to which the people are attached and by which the militia officers are appointed, forms a barrier against the enterprises of ambition, more insurmountable than any which a simple government of any form can admit of.” Loc. Cit. U. S. Citizens Buy More Firearms For Personal Use Every 3 Months, Than What It Takes To Outfit The Entire Chinese And Indian Armies Combined! I Day Before Boston Bomb & Texas Missile Attack: CIA, Bill Clinton, George Bush Jr., & Barack Obama Indicted By Congressional “Constitutional Task Force” For Crimes Against Humanity! So whenever the government wants to tighten the supply of ammunition, all they have to do is invoke their contracts and order more for themselves. Meanwhile, Obama appears to be doing other things to restrict the amount of ammo that gets into the hands of private gun owners. For example, there are reports that the Obama administration plans to use executive orders to greatly restrict the importation of ammo from overseas. So if anything, the shortage of ammunition is only going to get worse, not better. Meanwhile, the “panic buying” of physical gold and physical silver that we have seen lately has really run down inventories. The U.S. Mint said it has suspended sales of its one-tenth ounce American Eagle gold bullion coins as surging demand after bullion’s plunge to two-year lows depleted the government’s inventory. This marks the first time it has stopped selling gold product since November 2009, dealers said. The physical silver market is, in a word, ugly. There is no telling at this point when mint inventories will return to normal, but you can be sure it will not happen within the next 8 weeks. Most dealers, at this point, are selling their current customer demand forward, meaning they are selling product they do not presently have, expecting to pull from future mint allocations. Consequently, future allocations will face pressure from today’s demand. It is not my intent here to comment on the business practices of other companies, but I will say that no one can possibly predict future allocations at the time. The US mint, for example, releases its allocations weekly, and until then, dealers have no insight into allocation levels. Last week, we turned away business in excess of 100,000 ozs of silver because of stock depletion. However, we stand by the notion that it is better to lose a sale than lose a customer by delaying delivery two months (or more). 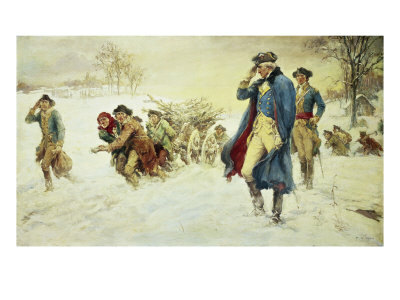 Sales By US Mint Of Silver Outpaces Gold By +50 to 1: Silver WILL Bring The Banking Cartel To their Knees! Haywood Cheung, president of the Hong Kong Gold & Silver Exchange Society, said the exchange had effectively run out of most of its holdings as members looked to meet a shortfall in supply amid rampant retail demand for gold products. A person that I know with significant deposits in one of the primary Swiss banks, in allocated gold, wanted to take out his gold and was just refused on the basis of directives from the central bank…. They told him the amount was in excess of 200,000 Swiss francs and the central bank had instructed them not to do it because it has to do with anti-terrorism and anti-money laundering precautions. I really wonder whether those are precautions or whether the gold simply isn’t there. Now you tell me that a London delivery has basically failed. It has to raise our suspicions that the lack of physical gold behind the paper gold is literally so severe that we are coming to understand that it is in fact not there. The gold that people think is stored is not stored, and the inventory of the warehouses for exchanges may not be holding deliverable gold. There has always been speculation about whether or not the physical gold the US claims to store is in fact in those vaults. The greatest train robbery in history might be all of the gold, and it would only be something like we have described above that would happen right before gold makes historic highs. There simply is no gold behind the paper. One example is AMRO, a second is your example with Maguire, and a third is my dear friend who was refused his gold on the basis that its value was too high. Remember this friend of mine had his gold in an allocated account in storage at a major Swiss bank. I repeat, there is no gold. 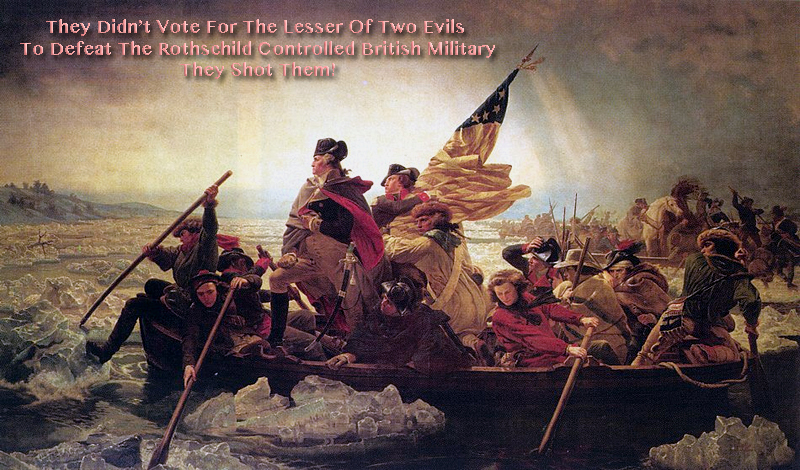 The Collapse Of The Richest 1%’s New World Order ~ Silver Taking Down JP Morgan. 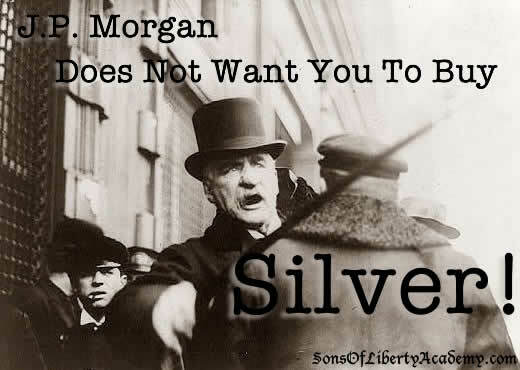 Silver Is The Achilles Heel Of The Corrupt Rothschild Banker’s Paradigm: J.P. Morgan Does Not Want You To Buy Silver!! So are we going to see more of this? Will it soon become evident that there is simply not enough physical gold to cover all of the promises that the banks have made? Jim Sinclair sure seems to think so. This gets back to the tip of the iceberg when the Dutch Bank ABN AMRO came out and literally said that if you have allocated gold with us, you can’t have it. That, to me, is a default, and it gets back to what Jim Sinclair related when one of his friends went to a Swiss bank and couldn’t get his allocated gold. I mean that’s preposterous. If it’s allocated it should be there, but it’s clearly not there. I think this is the beginning of the end of the massive Ponzi scheme in paper gold. I have been talking about this for some time, and it will have an enormous impact on future gold and silver prices. Silver & Gold Being Shut Down ‘For Awhile’ For Currency Revaluations ~ Get The Low Prices While It Lasts! If those that helped engineer the recent takedown of paper gold and silver were hoping to scare people away from physical gold and silver, then they failed miserably. 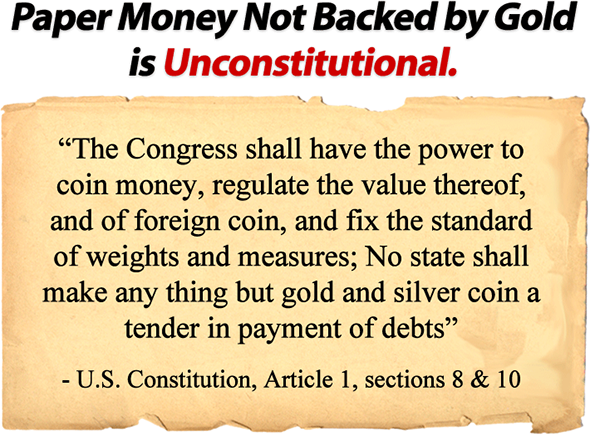 For even more on this, please see my recent article entitled “10 Signs The Takedown Of Paper Gold Has Unleashed An Unprecedented Global Run On Physical Gold And Silver“. All of this is just another example why I encourage people to get prepared while times are still relatively good. Once disaster strikes, it may be too late to get the things that you need. Right now there are a whole lot of people out there wishing that they had stocked up on ammo when it was much cheaper and much more readily available. We are moving into a time when everything that can be shaken will be shaken. Use the stability provided by the false bubble of economic hope that we are experiencing right now as an opportunity to get prepared. The next major wave of the economic collapse is rapidly approaching and time is running out. Silver Update: MOST Important Thing You Can Do As An American, Is To Buy PHYSICAL SILVER And Remove It From Their System! Greece Military Stands Down In Support Of Their Fellow Citizen: Military High 5s With Citizen Protestors ~ Blackwater Stands Down! ← America’s Hemorrhoid Warren Buffett: His Wealth Stems from Violence, Coercion, Imperialism, Statism, & His Firms Receiving $95 Billion In Bailout Cash From U.S. Tax Payers!